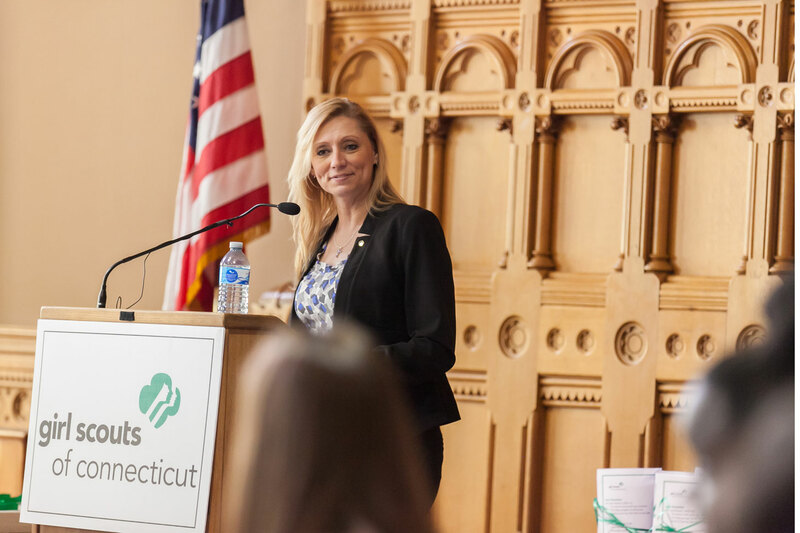 I hosted Girl Scout Day at the state capitol today, welcoming scouts from across Connecticut. Scouts heard from legislators who discussed the work they do in the legislature and the importance of civic engagement, and had lunch with legislators. Several girls addressed the audience to talk about current issues that are important to them as young women. Later in the day, there was a pinning ceremony where girl scouts inducted their legislators into Honorary Capitol Girl Scout Troop 201. Every year, I’m impressed by the scouts who join us at the Capitol – these girls are tomorrow’s leaders. The Girl Scouts is a great program that helps girls develop leadership and entrepreneurial skills. It’s an honor to host this annual event to teach girls about engaging with their government.